“Migrant caravan could have been avoided” — if U.S. foreign policy had not destabilized Central America. A harvest of empire. Historic karma. Yet somehow, Morgan Liddick, who fondly excavates obscure and quaint anecdotes from the Roman Empire and then forges them into tenuous links with current events, CANNOT connect the dots between the U.S. Empire and Central America! (See the interview, “Noam Chomsky: Members of Migrant Caravan Are Fleeing from Horrors Created by the U.S..” on Democracy Now!, Nov. 2, 2018.) Overall, his column, a pathetic, transparent and eleventh-hour attempt to vilify Democrats and sway voters, really does accomplish more — I’m sad to say. Despite Liddick’s flippant and cynical remarks regarding asylum seekers, Melanie Nezer, senior vice president for public affairs for thr Hebrew Immigrant Aid Society, says “Refugees are the most vetted people who come to our country. 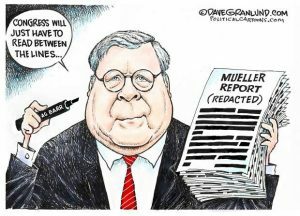 They do interviews. They do health screenings.” (And I personally know that it is difficult, expensive and takes at least a year.) Furthermore, Liddick incorrectly states that Trump can “issue an executive order directing that such (asylum) claims be processed only in claimants’ home countries…” But in fact, “he can’t by executive fiat repeal an act of Congress or a constitutional amendment. He has to ask for new legislation,” says Deborah Anker, a Harvard Law School professor. So for now, the Refugee Act of 1980 is still the law, and the claimant must be on U.S. soil! Moreover, the claimant does NOT need to present themselves at a U.S. port of entry. However, in flagrant violation of domestic law and international treaty, the U.S. Customs and Border Protection officers have turned away thousands of asylum seekers before they can make a claim. This is now being challenged in court. But instead, Liddick crows about seeing “a cavalcade of criminality” because misdemeanors and felonies “are being contemplated by thousands” of refugees. His binary, red and blue lenses must be blinding him from the real and actual crimes. “Crimes against humanity” are the exact words that Ben Ferencz, the last surviving Nuremberg prosecutor, used to describe the family separations at the border and the large-scale detention of immigrant children. Also, is Liddick blind to his own hypocrisy? Why does a self-proclaimed fiscal conservative blame the Democrats for refusing to build a “big beautiful wall,” thereby rejecting “the president’s grand bargain”? Billions of dollars for a “half-vast” solution since almost 50 percent of undocumented immigrants have entered LEGALLY but overstayed visas! Frisco: Since the two clocks on the tower at the Boulevard Bend condos have never worked, why not make that a cell phone tower so everyone can have reliable service? It seems more reasonable to have that instead of a watch with a dead battery 40 feet in the air at the southern entrance to town. There’s no reason Frisco should be a black hole for cell service. Great breweries. Silverthorne: Great work with the downtown planning and creating more of a walkable core area. It’s a shame the Mint has to stay as the centerpiece though (I’ll cook my steak at home thanks). That’s not what Silverthorne needs in the middle. Great breweries. Breckenridge: Let’s get up earlier and get the top of the mountain open at a reasonable and consistent time. One good brewery. Dillon: Taco Tuesday, need I say more? Also the best bowling in the county. Great breweries and strong work on the revamped amphitheater, aka the revampitheater. Keystone: Need to decrease snow reports so even more people go to Breck. Add a brewery. Copper: Fantastic skiing. I dunno, maybe bring back monster trucks and add a brewery. 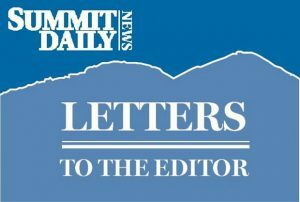 Everywhere: Please build a field house in Summit County. Look at the facility in Edwards and you’ll see how behind the times we are. 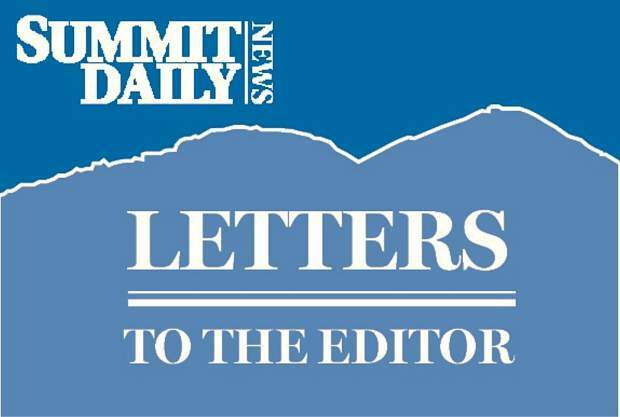 I would like to respond to Charles Pitman’s letter to the editor in the Nov. 2 edition of the Summit Daily regarding the Super Senior Nordic passes that were eliminated this year, resulting in a tripling of our pass price. I am the person who was interviewed by Antonio Olivero for his article on this subject. It is nice to hear from a super senior who is willing to bear the brunt of the increase. I am happy for your ability to do this, but I object to the notion that it does not count for many of us. Do you not notice the super seniors still working every day at Walmart, City Market or any other places of business? Yes, there are many seniors who live in big beautiful houses and can easily pay the tripled rate. To brush off the rest of us is unfair to this demographic. I consider myself one of the luckiest people in the world to be able to live full time in this beautiful county. I own my condo, am able to pay my bills and eat out with friends occasionally. I don’t have to work for pay, but I do lots of volunteer work. I don’t buy a Vail, pass but can occasionally swing for a super senior rate at A-Basin or Loveland if I want to. There are 937 due-paying ($15) super senior members at the senior center. We are offered all kinds of great activities and reduced-rate dinners and lunches. Feel free to come out and meet some of us. I am wondering if you would like to pay for my Nordic pass this year and maybe a few of my friends who will otherwise not have one?